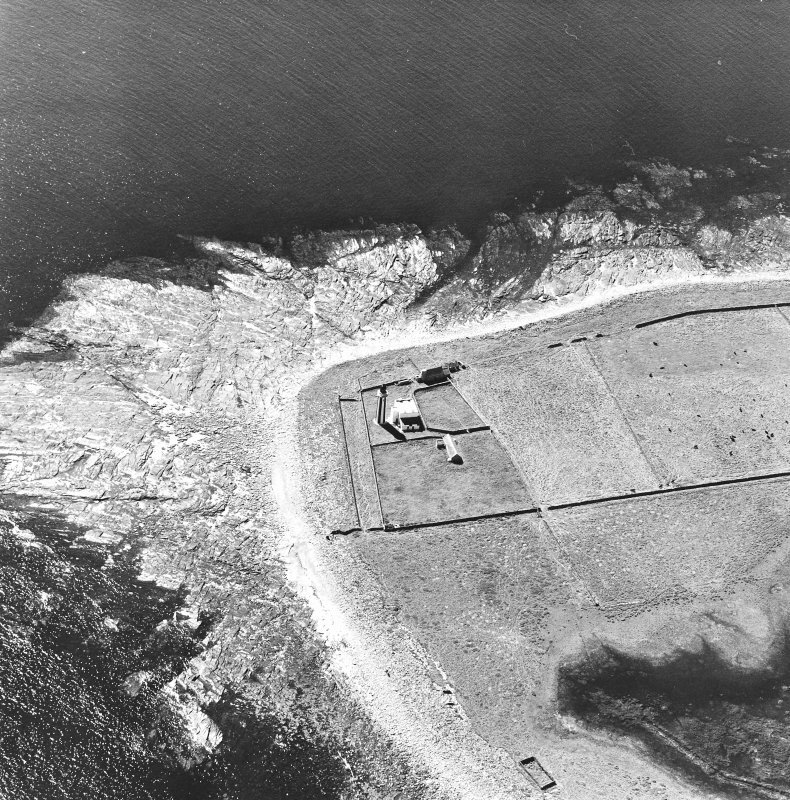 Oblique aerial view centred on the lighthouse, taken from the NNW. 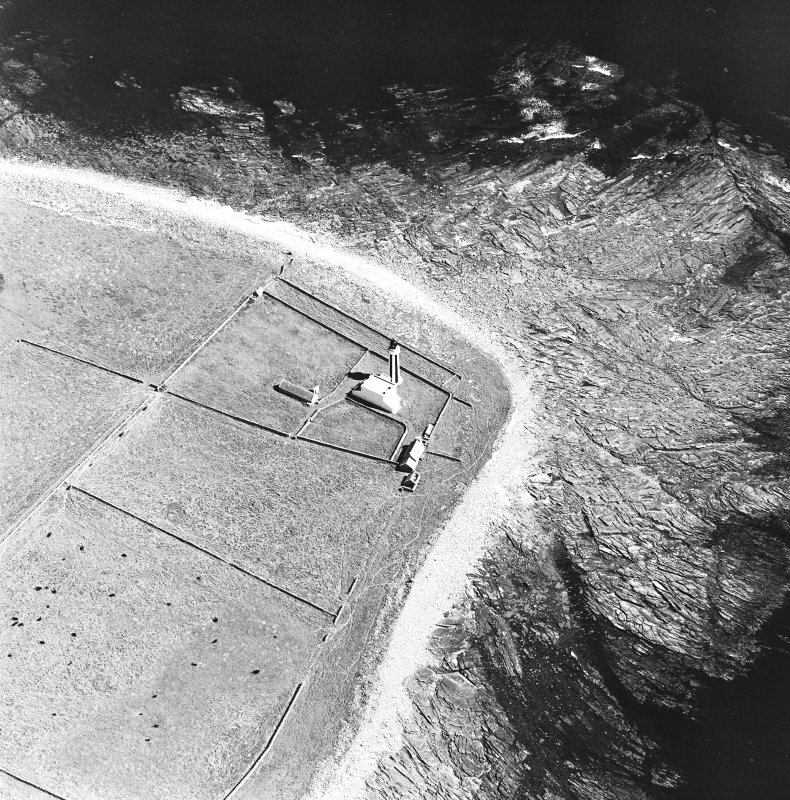 Oblique aerial view centred on the lighthouse, taken from the E.
Oblique aerial view centred on the lighthouse, taken from the ESE. 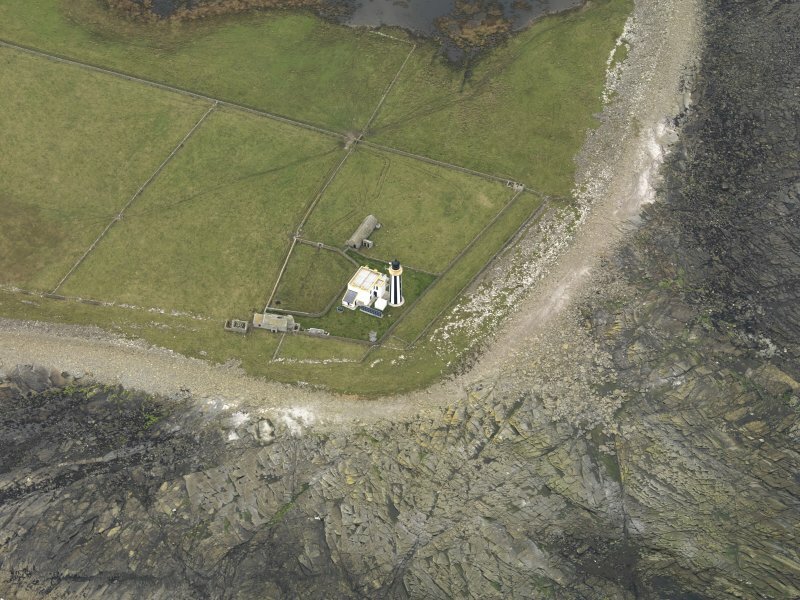 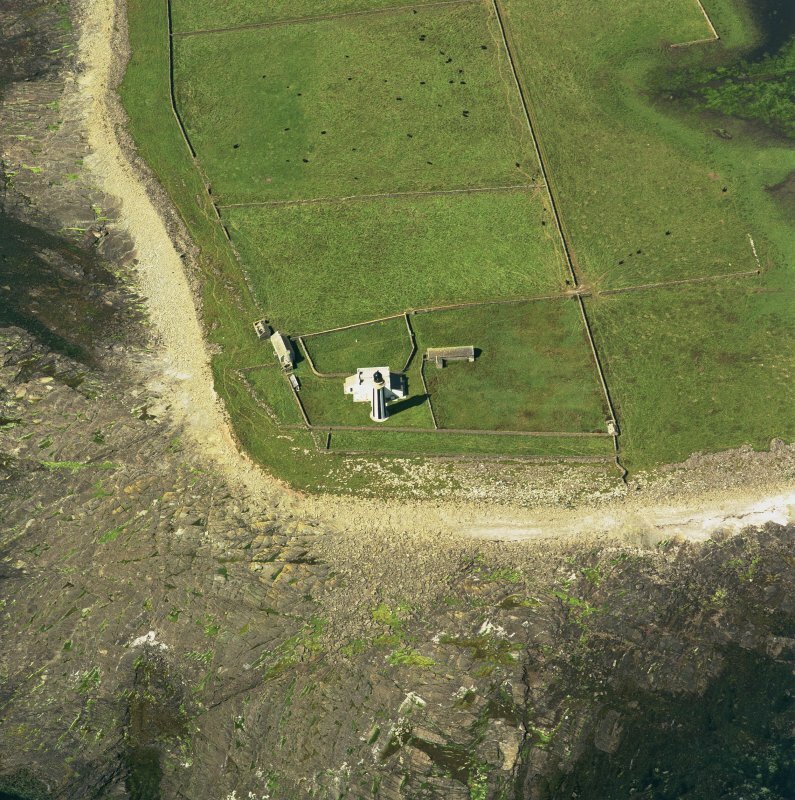 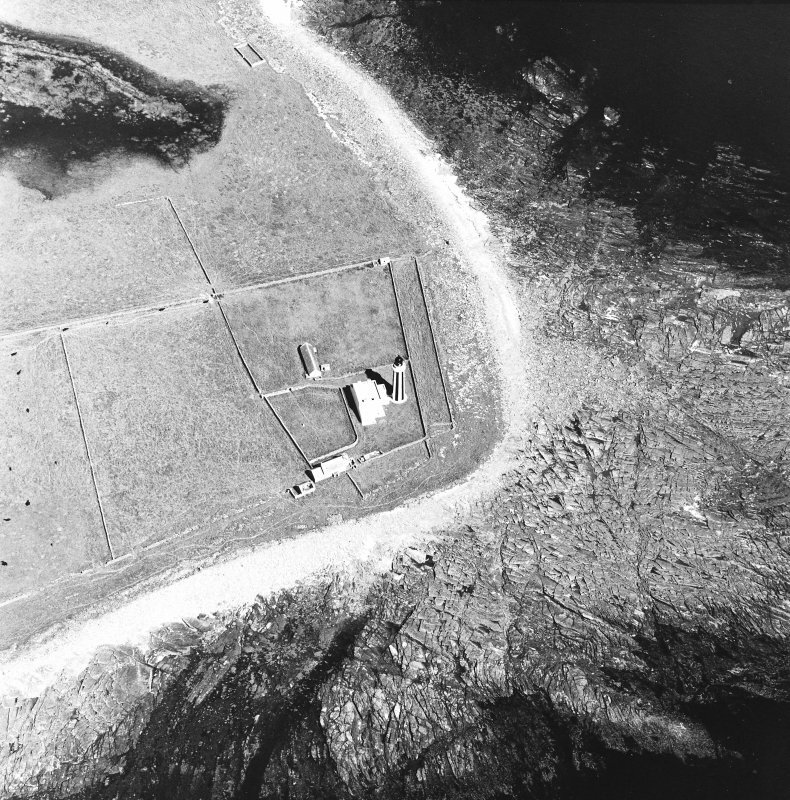 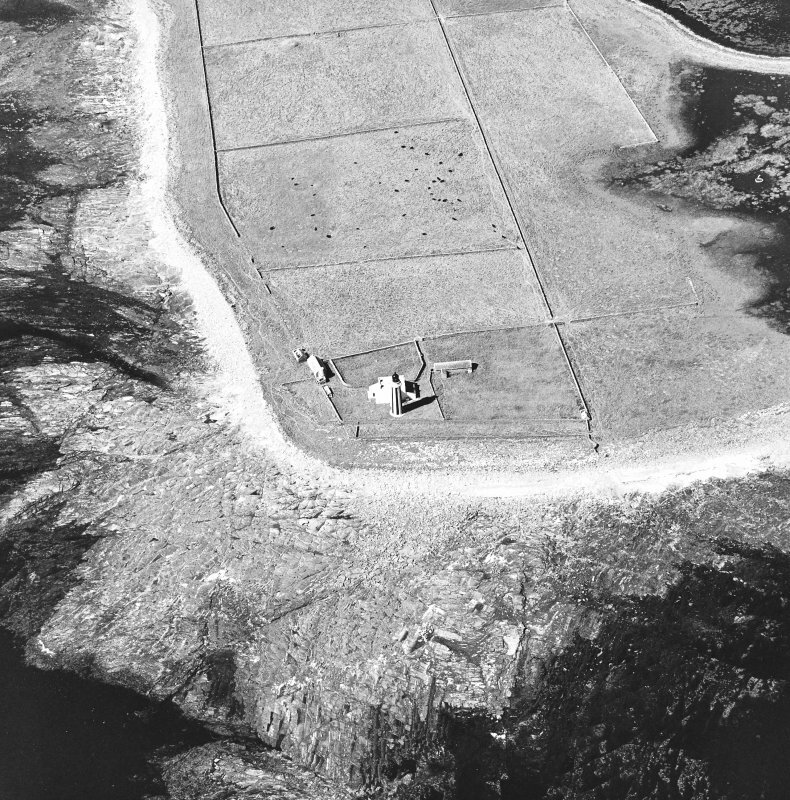 Oblique aerial view centred on the lighthouse, taken from the SE. 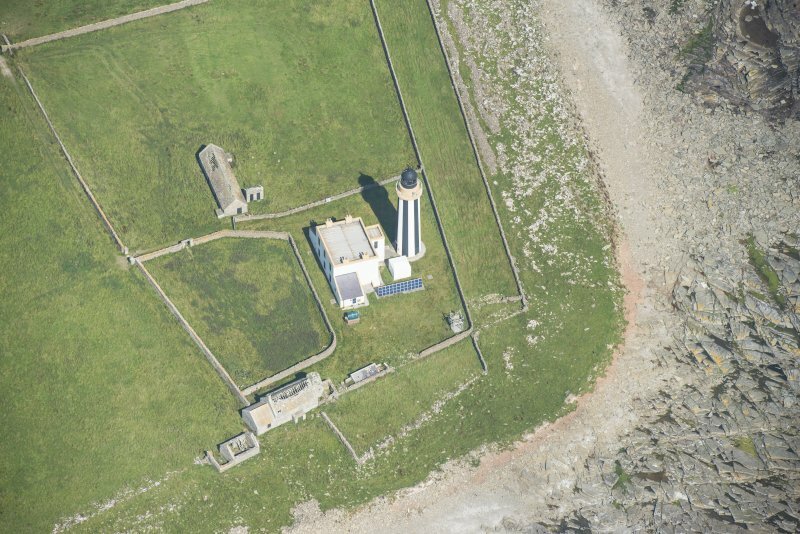 Oblique aerial view centred on the lighthouse, taken from the NNE. 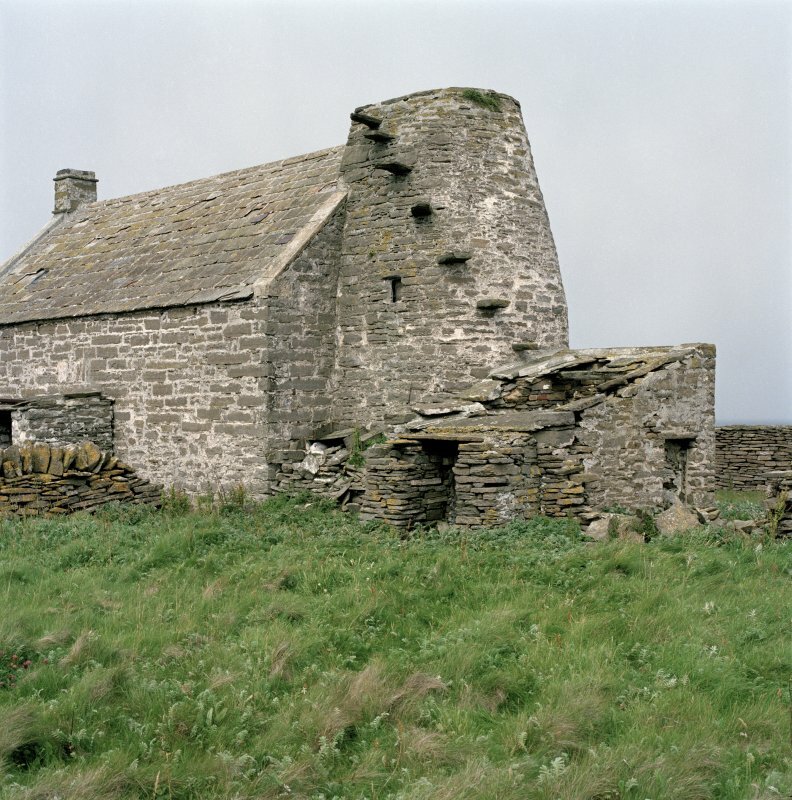 These farm buildings are of linear form, including pigsties with a single-pitch roof, a gable-ended barn with corn-drying kiln and fuel store, and an attached stable or byre. 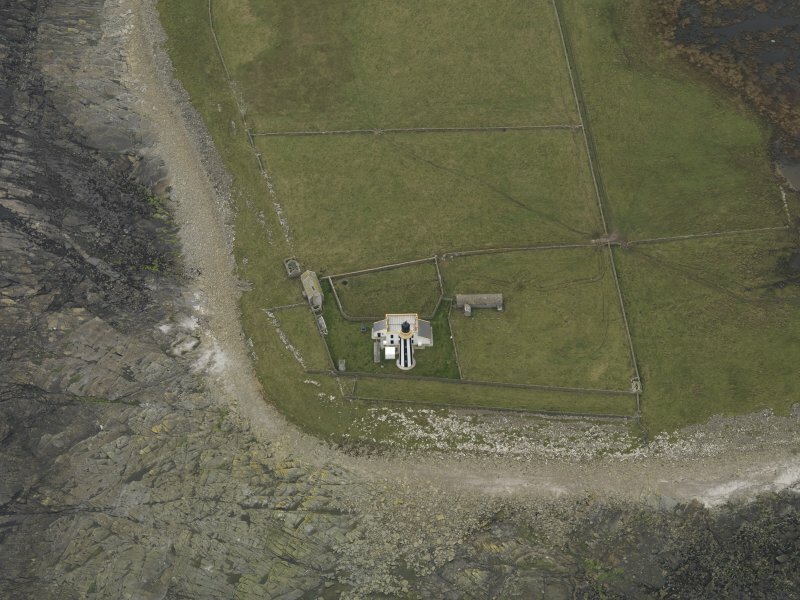 There is a further freestanding gable-ended shed to the S.
Information from RCAHMS (SS), 19 January 2006. 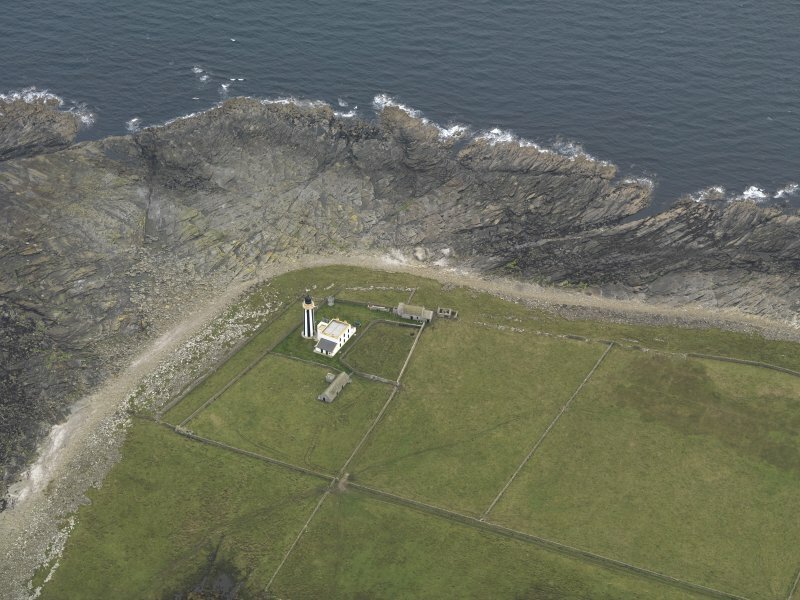 An unlit beacon was built at Start Point in 1802 for the purpose of warning off ships which otherwise might be lured by the light on North Ronaldsay into straying too far to the east and the low-lying coast of Sanday. 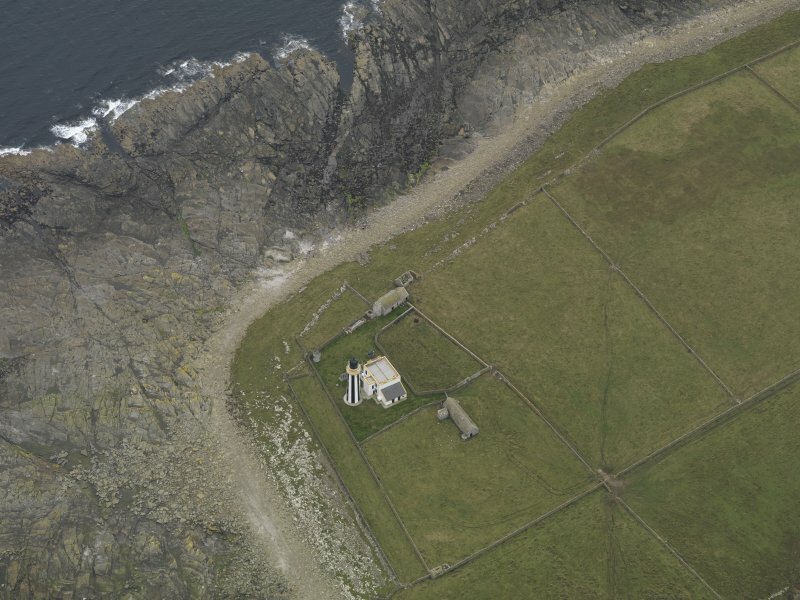 The beacon was topped by a large ashlar ball, later reused as a beacon at Dennis Head, North Ronaldsay. 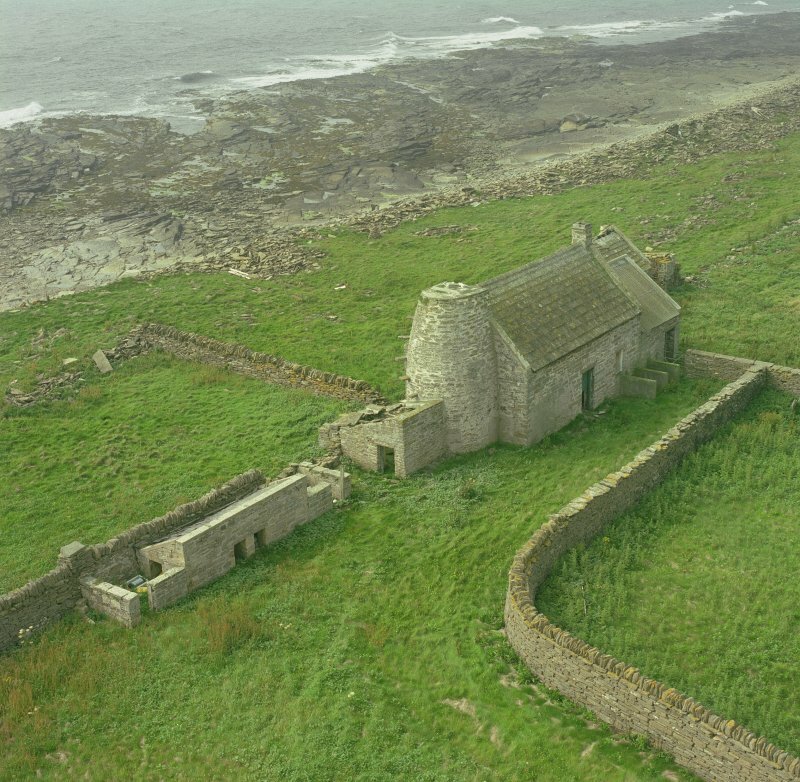 In 1806, it was fitted with the first revolving light in Scotland. 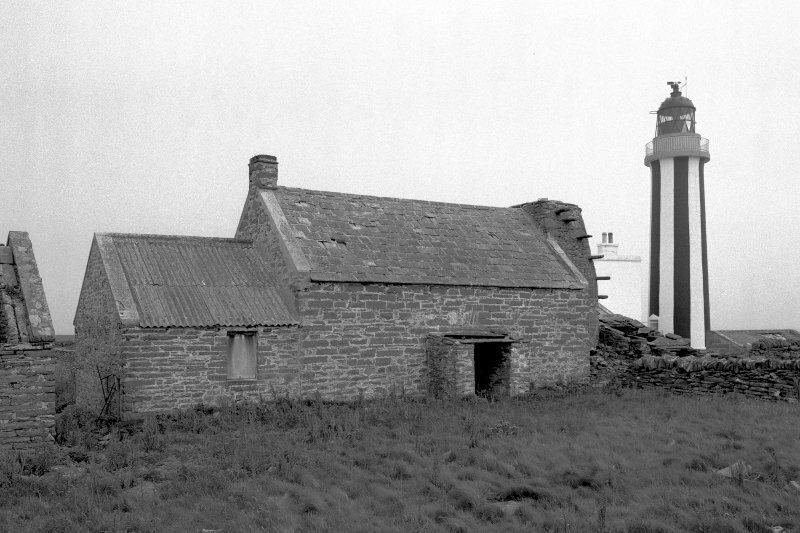 Rebuilt in 1870, the 21m high brick tower was later painted in striking vertical stripes of black and white. 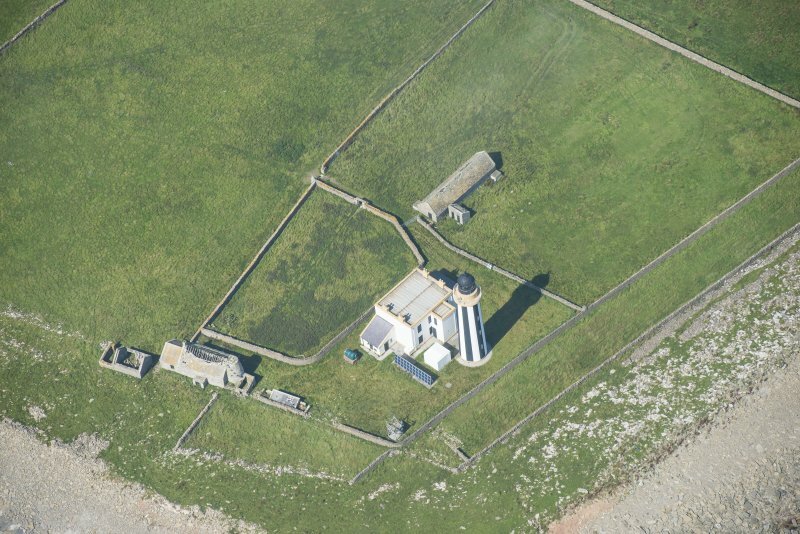 It went to automatic in 1962 and is now a listed building. 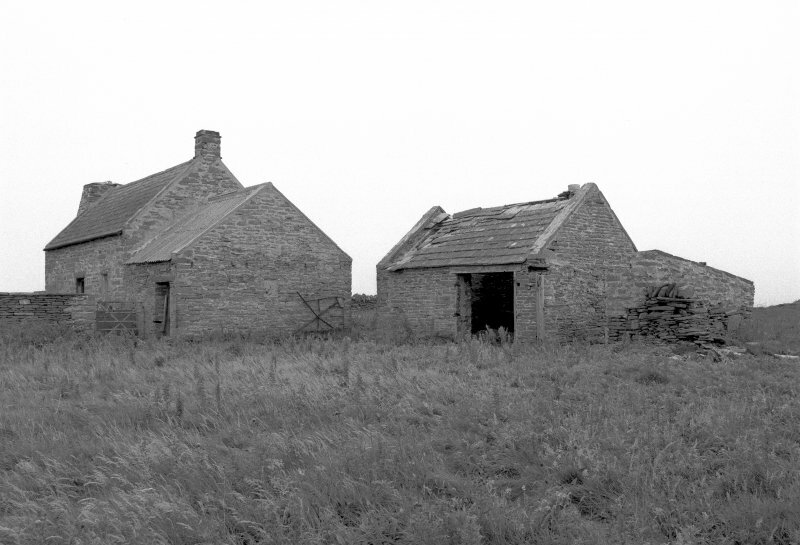 The original two-storied keepers cottages survive and are currently under renovation. 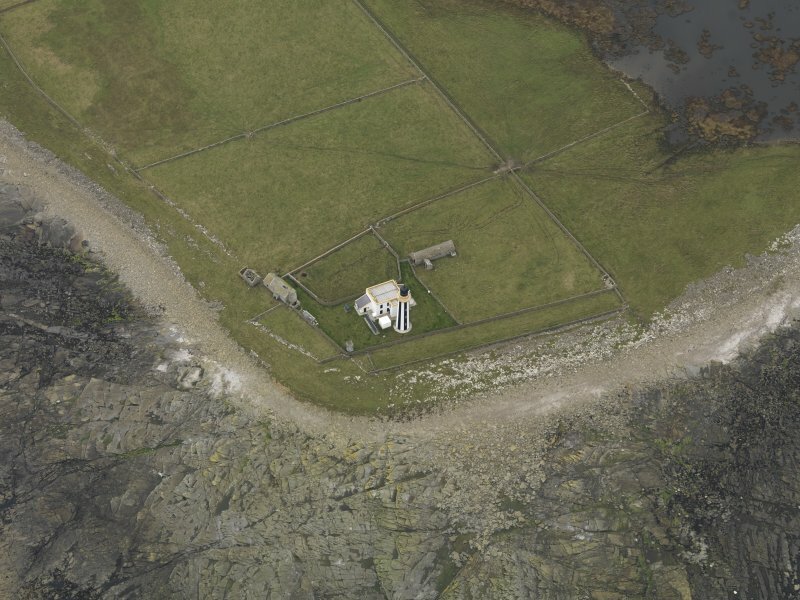 To the south side of the lighthouse complex, a farmstead, of traditional design and construction, which incorporates a corn-drying kiln (surveyed) is now ruinous.